Regular outlets on the wall aren’t very pretty. They’re usually surrounded by a boring plate and interrupt the flow of your backsplash. 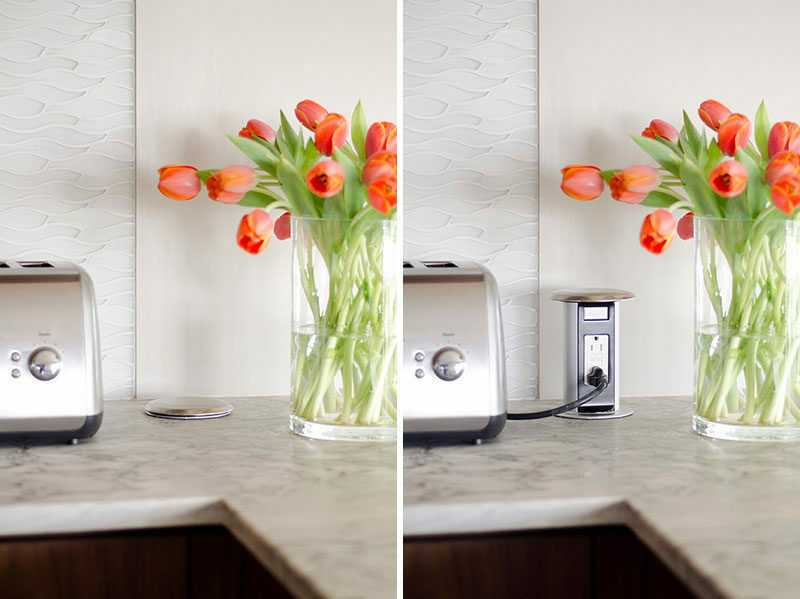 Pop up outlets lie flush (or almost flush) with your countertop and are visible only when they’re being used. Kitchen styled by Kristina Crestin and built by Apex Carpentry. 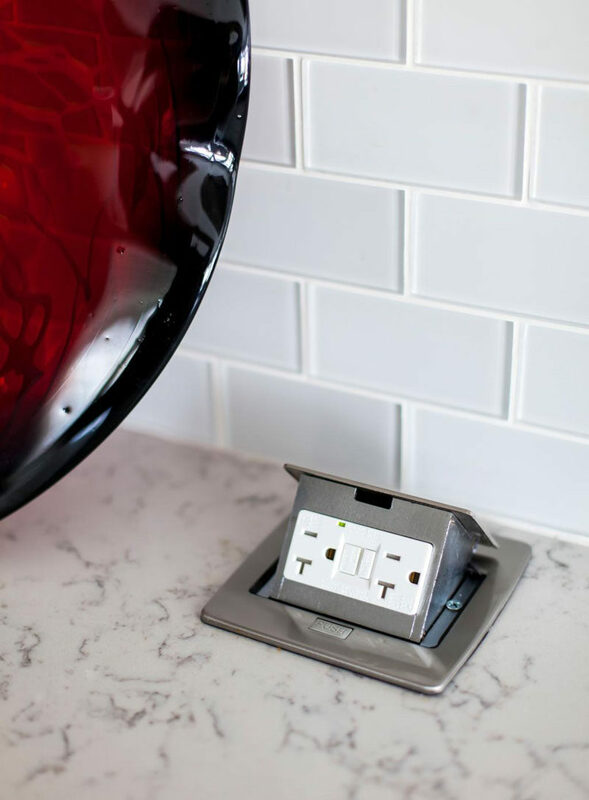 Having wall outlets means that all appliances that require a power source can only be used where a socket exists. 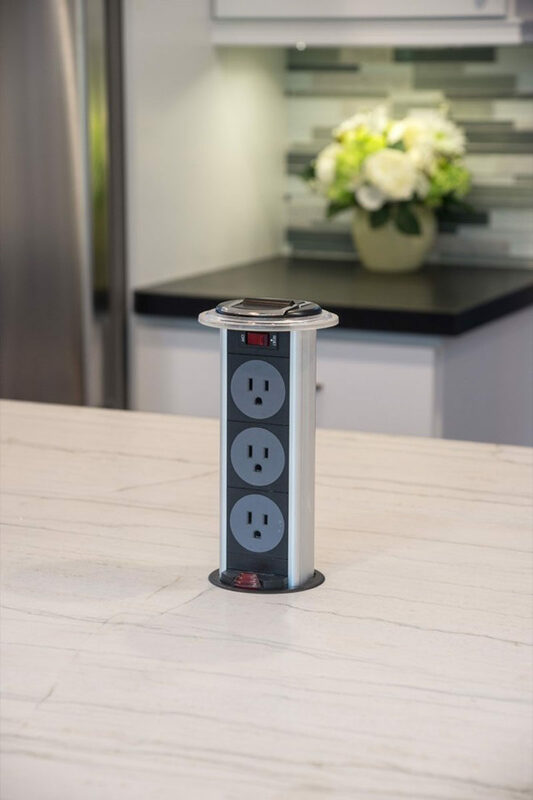 A pop up outlet lets you decide where it goes and allows for much more flexibility in where you prep your food. They’re also convenient in that they don’t require any special cuts in your backsplash. You can lay all your tiles or paint the whole wall without having to make cuts or accommodations for the outlets. 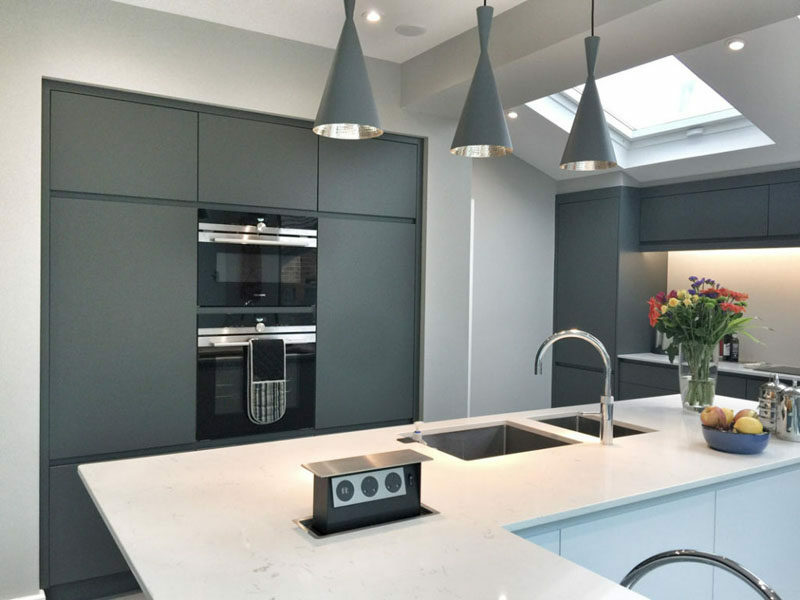 Kitchen designed by Advanced Renovations. Interior design by Kellie Scott. Photography by Jim Schmid. 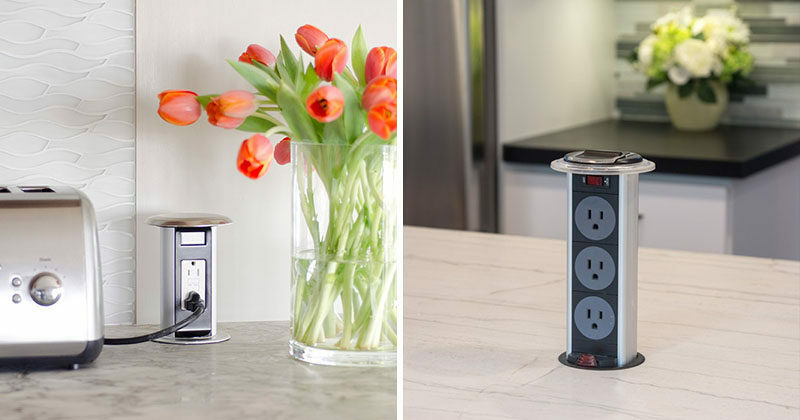 Many pop up outlets come with more than just electrical sockets. 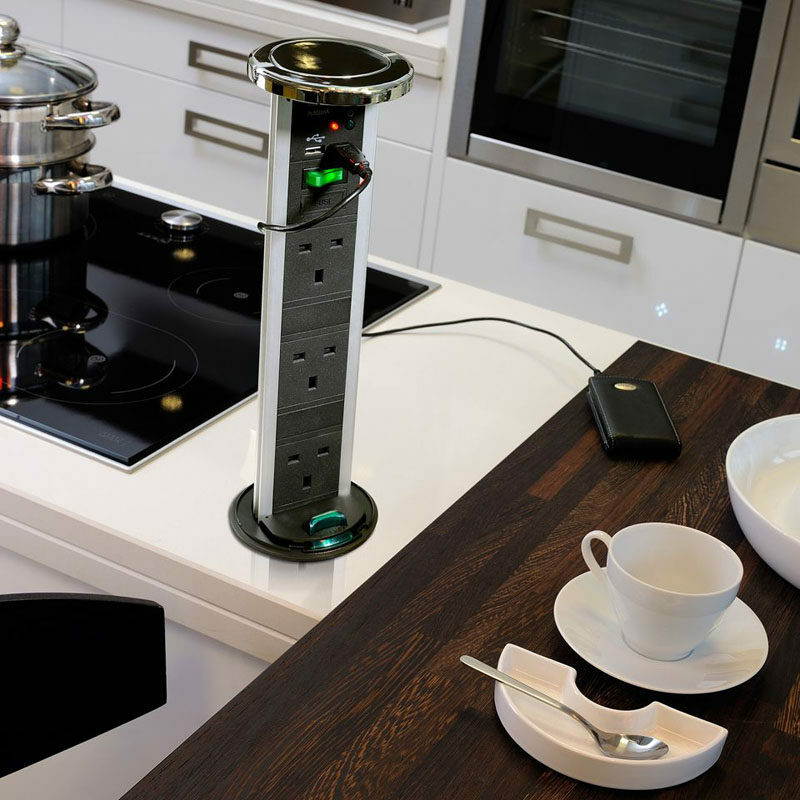 Most of them also include USB outlets which allow you to charge your devices without taking up precious socket space. This is also a bonus if you use a tablet or your phone to look up recipes while you’re cooking.